The family of a private investigator found murdered outside a London pub is to be paid £50,000 for highlighting the failings of the Met Police. 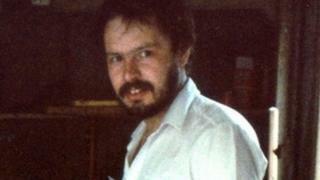 Daniel Morgan, 37, from Llanfrechfa in Wales, was found with an axe in his head in a car park in Sydenham in 1987. The Greater London Authority (GLA) said the payment was to recognise the "toll exacted on the family". Mr Morgan's family believe he was about to expose police corruption when he was murdered. In 2011 the Met Police apologised to the family, and the former Metropolitan Police Authority made a payment of £125,000 to help with legal costs the family had incurred, but it did not admit liability. In May 2013 it was announced that an independent, judge-led panel of experts would examine claims that police corruption prevented a conviction, despite five investigations. In the mayoral decision form, the GLA said it proposed to pay Daniel Morgan's family the money "to provide financial recognition of the efforts of the family of Daniel Morgan in bringing to light the failings of the Metropolitan Police Service following Daniel Morgan's murder". A spokesperson for Mayor of London Boris Johnson said: "This payment by the GLA is exceptional, recognising the toll exacted on the family in pursing these matters and the resulting public benefit of this work." Daniel Morgan's brother, Alastair, said the payment of £50,000 was a "financial gesture" that did not cover a fraction of the costs his family had sustained over 27 years of "fighting for justice". "I think it's derisory," he said. "One of the things is that this awful awful case has been dumped in our lives by the police. "The whole criminal justice system has failed us. We have been doing their jobs for them for 27 years. We have been having to do the job that the authorities should have been doing for us." In a statement the Met Police said: "The re-investigation that started in March 2006 made the greatest steps to date to get justice for Daniel Morgan and his family. "It was deeply regrettable that as yet no-one has been brought to justice for this murder."